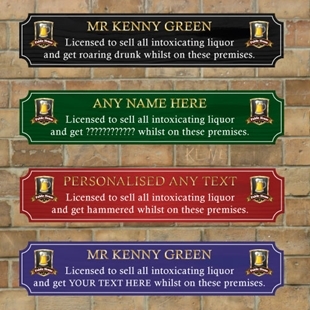 Personalised double sided aluminium composite sign, any text you like. 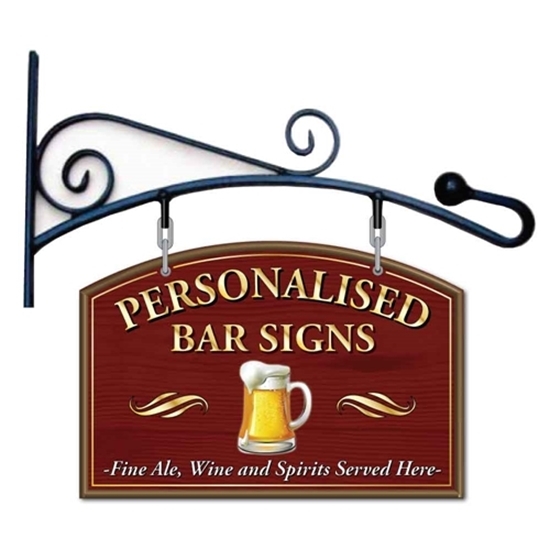 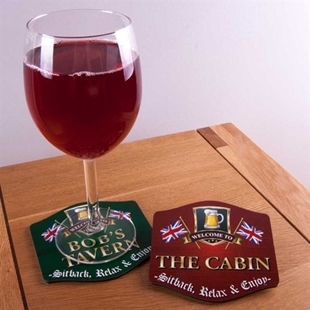 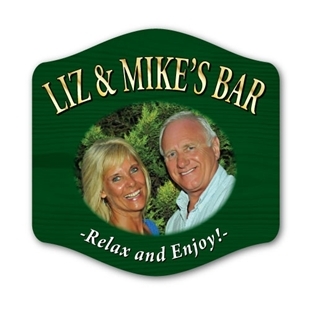 This classic wooden effect style pub sign and decorative wrought iron hanging bracket(black only) can be produce in any colour, style or layout to suit pub, home bar or business Any logo or lettering can be added. 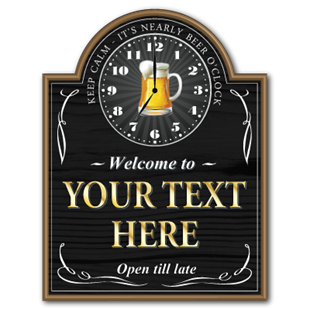 Fully Weatherproof and unbreakable, directly printed with durable UV inks with a high quality finish.